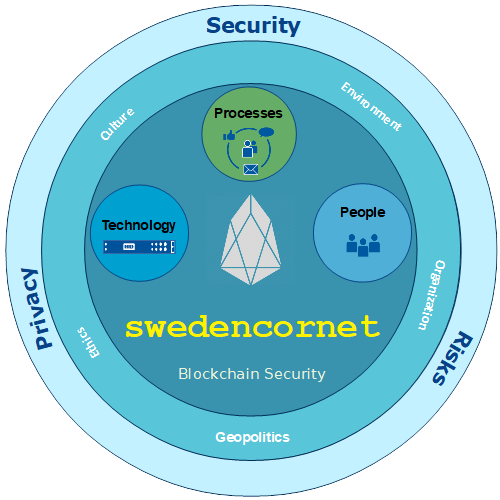 swedencornet (Core Net) is a Block Producer candidate from Sweden. It's headquarter is located in Stockholm, Sweden. But it has global vision and reach. 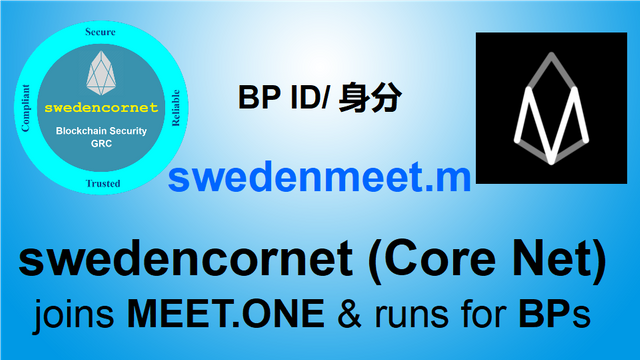 swedencornet (Core Net) proudly supports MEET.ONE side chain and runs for BPs. swedencornet (Core Net) manages complex Blockchain Hybrid-Cloud Infrastructure. It has competency in Information Security, Privacy, Reliable Operations, Governance, Compliance and Risks Management. swedencornet is also verifying and producing blocks in Telos Decentralized, Governed Blockchain Networks (and other EOSIO Chains). The team members and advisers of swedencornet are highly energetic, dynamic, and optimistic. They are well recognized and have decades of experience in global organizations managing and running complex operations as well as business critical processes.